One of the purposes of The Retirement Analysis Kit (TRAK) and TRAK-Online software is to reduce the complexity of financial planning – a solution to help advisors with the many complex calculations and illustrations while producing results that clients can easily understand. Nowhere is this more helpful than working with pension plans, which bring their own complications. Tackling the mosaic of hundreds of federal, state, and local pensions is a labor of love as we seek to enable advisors to better serve public sector employees. Of the hundreds of pensions in the software, none (I believe I can safely state that) are as complex as the CSRS and FERS retirement plans, and we are proud that we have created a solutions for advisors working in this unique marketplace. We are pleased to announce the addition of two more aspects of the federal retirement plans to the desktop software (to be implemented also in TRAK-Online): the ability to account for non-deduction service and redeposit of retirement deductions. If you are unfamiliar with these two aspects, here is a brief refresher. Certain types of federal employees, for example some temporary employee, do not have retirement deductions withheld. Within certain parameters, employees may have the options to make a deposit for this period of employment so that this service can be used for retirement title and computation purposes. CSRS – CSRS employees may make a deposit of the retirement deductions which were not withheld plus interest. For service ending before October 1, 1982, non-deduction service will be credited but if the deposit if not made, then the retirement annuity will be reduced by 10% of the deposit amount due at retirement. Survivor benefits will also be reduced. Service ending on or after October 1, 1982 will not be credited in the retirement computation unless the deposit is made. FERS – Some FERS employees also have the option to make a deposit for non-deduction service. 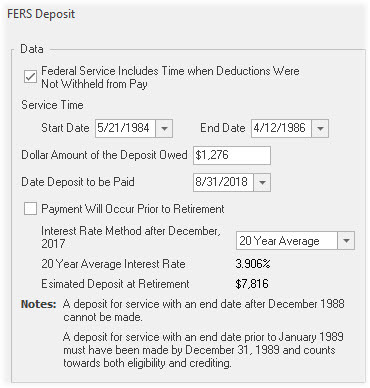 For service ending before January 1, 1989, a deposit for this service must be made of the employee would like the service to count for retirement eligibility and annuity computation. Normally, non-deduction service performed on or after January 1, 1989 is not eligible for a deposit. CSRS employees who transferred to FERS, who had non-deduction service under CSRS, may follow the deposit rules for CSRS employees. 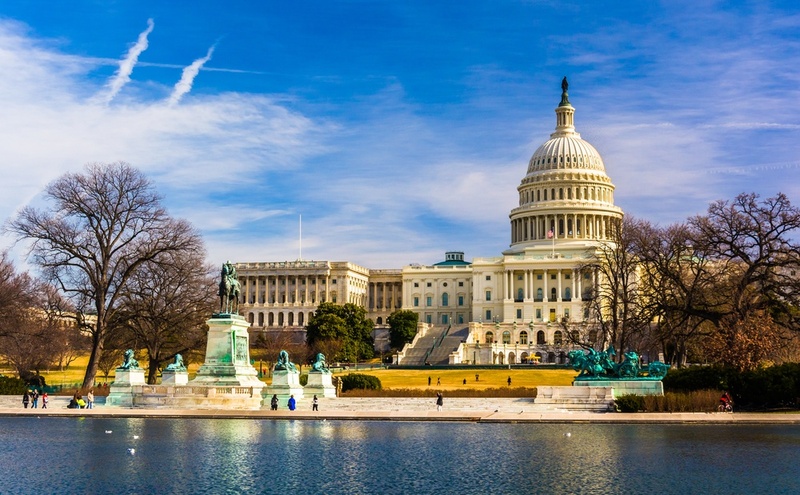 Federal employees, upon leaving federal employment, may take a refund of their retirement deductions that were withheld. If the person then later returns to work for the federal government and would like to include the period of previous employment, they must redeposit the refunded deductions. CSRS – For redeposit service before March 1, 1991, credit will be given for this service automatically, however, unless the deductions are redeposited with interest, the retirement annuity will be actuarially reduced based on the amount of redeposit due at retirement. Redeposit service performed on or after March 1, 1991 is not credited for annuity computation unless the redeposit is made. FERS – FERS redeposit service will not be credited for annuity computation unless the redeposit plus interest is made. However, this service will be credited for determining retirement eligibility. CSRS employees who transferred to FERS, who had redeposit service under CSRS, may follow the redeposit rules for CSRS employees. Accounting for these type of service, with all their unique variables, can be challenging and time consuming for advisors which is why we have added the ability to account for these types of service to TRAK. With some simple data entry, TRAK will handle these calculations for the advisor allow the advisor to focus on educating their clients. TRAK will also show comparisons of the retirement benefit with and without accounting for these types of service helping advisors educate their clients on their options. 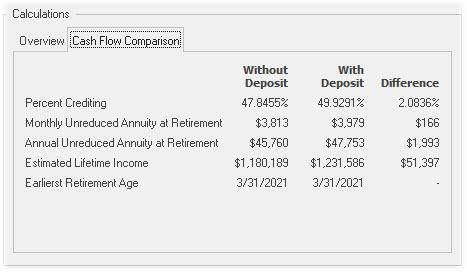 If you are a TRAK user who works with federal employees, you will see these new features in the Gap Analysis on the Retirement Plan tab. These features will be in TRAK-Online shortly. If you help federal employees with retirement planning and are not yet using TRAK, please visit our website to learn how TRAK can help you simplify the process and allow you to more easily serve your clients. For more detailed information about service credit, please see the information on the OPM website for CSRS and FERS employees.